Feedzai has launched the Feedzai OpenML Engine, in response to recognizing the need for data science teams to utilize their own tools and expertise. 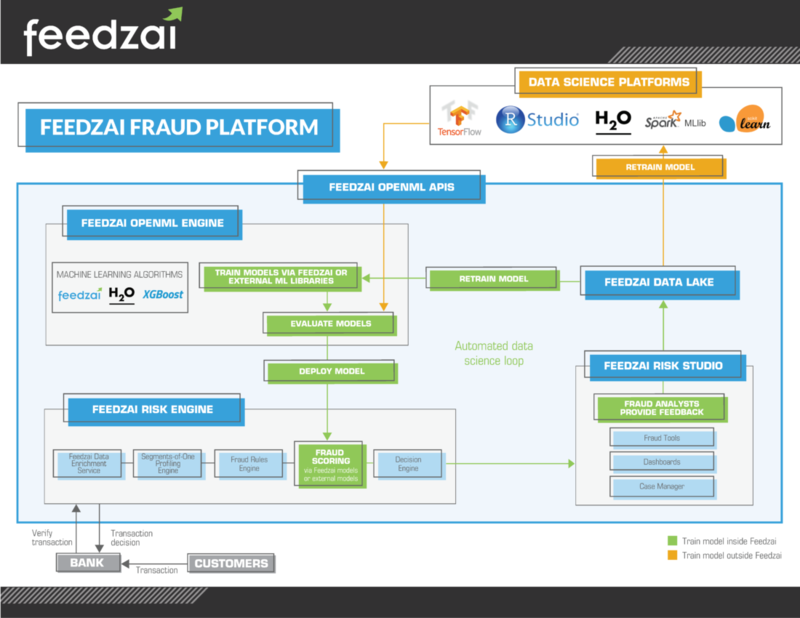 Built on Feedzai’s distributed microservices architecture, this powerful service allows data scientists to bring their preferred machine learning modeling and runtime frameworks, including open source, research, or commercial, to the Feedzai platform. Feedzai is removing the burden of data scientists to work in a singular environment dictated by the third-party vendor. Feedzai is also removing the bottleneck where clients require vendors to create models on their behalf. With OpenML, data science teams can create and use models in the language they choose (e.g. Python, R and Java). Furthermore, data scientists can use end-to-end modeling environments like H2O, R Studio or Data Robot. The OpenML Engine allows data science teams to leverage pre-written machine learning libraries from any open source (e.g., TensorFlow, H20.ai, Spark’s MLib, scikit-learn). By opening up Feedzai’s real-time engine to use an open score approach, any external library or scoring framework can be used in conjunction with Feedzai.